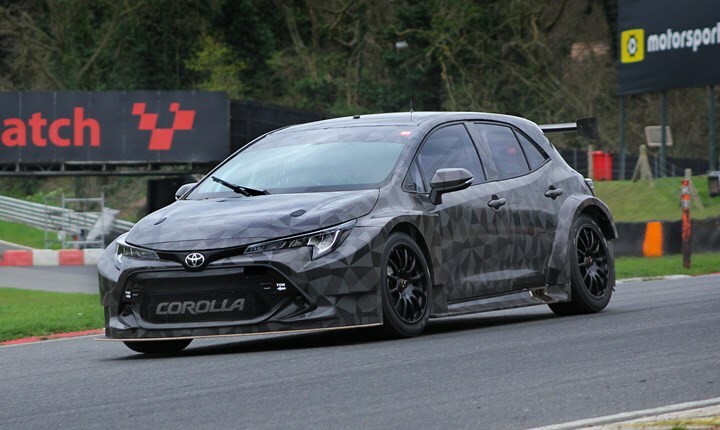 Toyota's official return to the Kwik Fit British Touring Car Championship moved closer with testing appearances at Brands Hatch this week, with Tom Ingram behind the wheel of the manufacturer's latest Corolla on the Indy circuit. Ingram, who finished as runner-up in the championship last year with his Speedworks Motorsport team, was out on track on each of the past two days following an extensive test in Spain recently, ahead of the official pre-season championship test at the Kent circuit on Wednesday 27 March. Ingram said: It's been really good actually, we're getting on really well. We're working through a little bit of a programme in terms of trying to understand the car as best as we can before we get to the start of the season so we're going through our plan. "We had three days in Spain the week before last week which went really well and we're really pleased with how it's all going at the moment. We just need to refine what we've currently got to make it the very best car that we can. At the minute, it's mega but we want to make it even more mega! "We've been surprised just how much there is [a difference from the old car] so we've got to be methodical in our processes in terms of how the car responds to different changes that we've seen over the years. I think we've got kind of an understanding, especially after the last two days back on British soil. "The big thing is in terms of weight distribution and wheel base length and all of these kind of things it is massively different from the Avensis. So, that is where we take a little bit of time to learn it and understand it and find out what does what and how it works." The Corolla has been run a plain 'camo' livery throughout pre-season testing, but fans can glimpse the machine's true racing colours at the official test next week. Entry to the test will be free of charge to spectators from 9:30am, with the full grid of BTCC contenders set to take to the track for a full day's running. There will be a pit-walk and autograph session during the lunch break too. The Brands Hatch Indy circuit will also host the championship's season opener on 6-7 April, ahead of further visits to MSV circuits throughout the year: Donington Park (27-28 April), Oulton Park (29-30 June), Snetterton (3-4 August), Brands Hatch GP (12-13 October.